After doing some of my typical Internet hunting I bring back to my whiskey tribe a beast of an article. Tom Eblen, from the Lexington Herald-Ledger, writes about cracking open his Old Barbee Whiskey and sharing it with longtime Wild Turkey master distiller Jimmy Russell. As it turns out, the bourbon came from the author, whose wife’s great-grandfather Herman Volkerding was president of the now long-gone Kentucky distillery that made it. 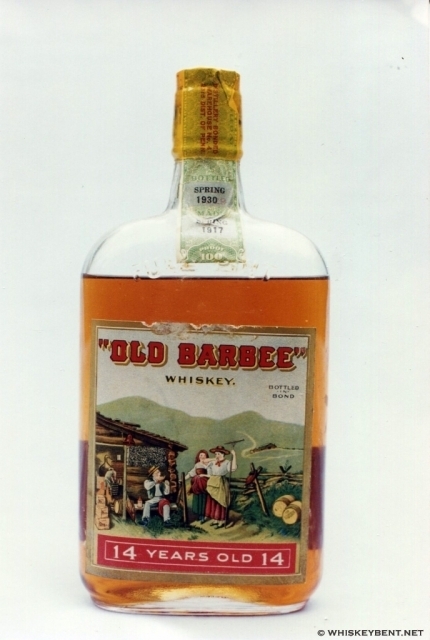 If you find Mr. Eblen’s article a great read then you will enjoy viewing my unopened Old Barbee Whiskey with the original box in the slideshow below. Notice the differences in the label when compared to the bottle pictured from the original article. Will I be opening mine and tasting it? Only if I find another one. I enjoyed this article. My great grandfather was also Herman Volkerding.